The UK is in the midst of a great moment of uncertainty about its future direction, brought about by its decision to leave the European Union in just under a year’s time in March 2019. Prime Minister Theresa May has now secured a ‘transition period’ once the UK leaves the European Union, which ends on 31 December 2020. However, this deal has not yet produced any further clarity. In fact maintaining the status quo in this period may simply prolong the uncertainty – especially as it will be used to thrash out details of the future relationship. Big questions remain about whether the UK can remain aligned with the European Medicines Agency, without which the pharma industry has warned that the UK could be relegated from its current position as an early-launch market. This lack of clarity is, of course, anathema to business, and the life sciences sector is no exception. So just what kind of impact is Brexit having on the UK life science sector? 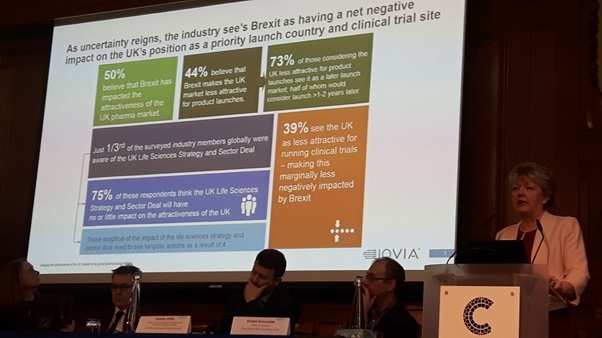 Angela McFarlane, Market Development Director, IQVIA, opened the Market Access Summit in London with results from a survey of industry executives in the UK and globally about the impact of Brexit. 39% see the UK as less attractive for running clinical trials – making this marginally less negatively impacted by Brexit. Commenting on the outcome from the survey, Angela McFarlane acknowledged the gloomy results, but said the UK still held a few aces. These include the excellent reputation of the UK’s regulator the MHRA, and the UK’s track record as an early-launch market. She also highlighted the country’s pioneering status in real-world studies – increasingly vital to market access strategies – as the UK hosts more of these than any other country in the world. She also said that, while the survey showed low levels of understanding and optimism of the Life Science sector, she believed it was the ‘fillip’ to the impact of Brexit. “I urge you not only to read the Life Sciences Sector Deal, but also to promote it within your organisation. Meanwhile, beyond Brexit, the NHS is far from standing still. Two of the biggest top-level developments in England’s health service are the increasing reach of NHS England and the parallel development of Integrated Care Systems (formerly Accountable Care Systems) – which are redefining the national and regional decision-making processes, respectively. Peter Huskinson is National Commercial Director of Specialised Commissioning at NHS England, which, in the last 18 months, has taken on far greater responsibility for market access for specialised medicines. He added that NHS England was now able to focus on gaining the best deal on new medicines in the new landscape. 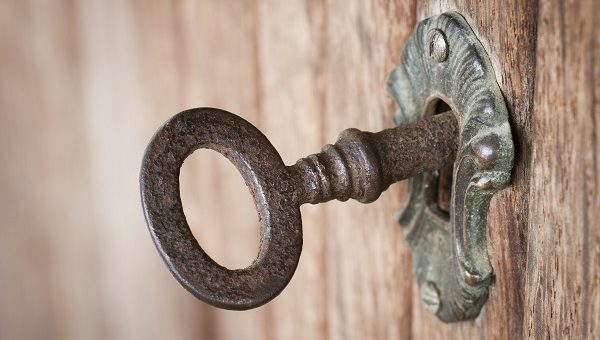 NHS England now has financial oversight of the Cancer Drugs Fund, as well as the agreement of Patient Access Schemes, which involves working with NICE in both instances. It also has a Commercial Development Team for planning the managed entry of new drugs and a Commercial Medicines Unit to engage directly with the industry. Huskinson set out the four entry points to market for new drugs under the system and said NHS England wanted to work with pharma on prioritising treatments which would have a high impact on patients. He said he believed NHS England was now well on its way to developing a more sophisticated approach to managed entry – using horizon scanning via the PharmaScan database and a ‘toolkit’ of different approaches for different scenarios. The need to move towards more outcomes-based data, supported by real-world evidence, was a key point. “There are lots of completely new kinds of medicines coming to the market – regenerative medicines, CAR-Ts and immunotherapies, and drugs with novel delivery systems. Nevertheless, there remains criticism within the industry and in patient organisations about the transparency, fairness and speed (or lack of speed) in NHS England’s decision making. Industry representatives at the summit talked about NHS England decisions taking nearly a whole year to complete, and also the downward price pressure threated by greater use of competitive tenders. One example of such a dispute is over access to Vertex’s cystic fibrosis drug Kalydeco. The UK patient organisation the Cystic Fibrosis Trust is accusing NHS England of not putting enough effort into reaching a deal with the pharma company. Representing patient organisations at the summit was Jane Spink, from the rare disease umbrella organisation The Genetic Alliance. She pointed out that, of all orphan drugs approved in Europe, UK patients have routine access to just 50%, and one fifth haven’t been reviewed by NICE. Undoubtedly the region leading the NHS move towards greater integrated care is Greater Manchester. It has also signed a special memorandum of understanding with the pharma industry to support greater collaborative work. 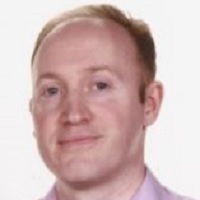 Andrew White is Director of Clinical Services, Greater Manchester Shared Services. He says there remains some lingering distrust of pharma in parts of the NHS – but that meaningful collaborations, such as the real-world data Salford Lung Study, prove that partnership is worthwhile. Nevertheless, he says the industry has a long way to go to align with the NHS’ priorities, and towards re-focusing on patient outcomes. “In Greater Manchester we spend £1 billion on medicines a year. Do we get value for money from them? I honestly don’t know. The region’s prescribing budget is being squeezed, and so some of its priorities are in de-prescribing, better antibiotics use, fast uptake of biosimilars and better mental health services. These are not necessarily what industry wants to talk about, but will be Greater Manchester’s focus areas. Rob Duncombe is director of pharmacy at the Christie in Manchester, one of the country’s leading cancer specialist hospitals. He echoed Andrew White’s emphasis on priorities such as antimicrobial stewardship and uptake of biosimilars, but said industry partnership would also be a big theme in the coming years. He pointed to the success of the Cancer Vanguard and the Pharma Industry Challenge, which saw a number of successful collaborations between the industry and the NHS, all with the ultimate goal of improving patient outcomes. “Part of the appeal of these collaborations was the opportunity to fail – we certainly don’t like to fail in the NHS, and new ideas are also very hard to introduce into the health service. The crucial test for the NHS is now, however, in whether or not the lessons from these pilots and studies can be spread into general practice across the country; the baton is now being taken up by regional Cancer Alliances. Rob Duncombe concluded: “Joint working is absolutely needed, because there is huge complexity in introducing new medicines, technologies and ways of working. The summit wrapped up with a vote on whether Industry-NHS collaboration is a pipedream: the overwhelming majority of the industry audience believed it was achievable – despite some very real difficulties in getting towards the ‘win-win’ agreements. Santoke Naal, Head of Market Access UK and Ireland, IQVIA, said that the increasingly challenging landscape, coupled with the uncertainty of Brexit, highlights, now more ever, the need for healthcare stakeholders to collaborate and innovate. He concluded: “Sir John Bell’s life science strategy is a great foundation to encourage industry and the NHS to work together with pilot projects to ensure access to key innovations for patients”.